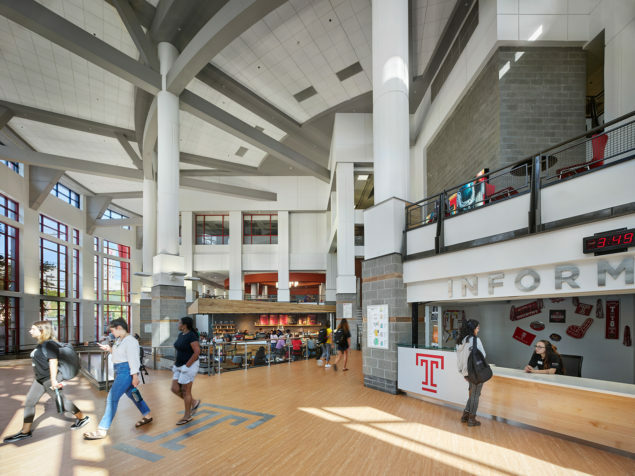 Additional space for students to study and hang out was created in the existing three-story atrium. 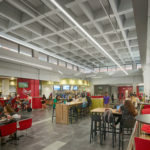 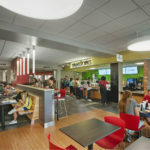 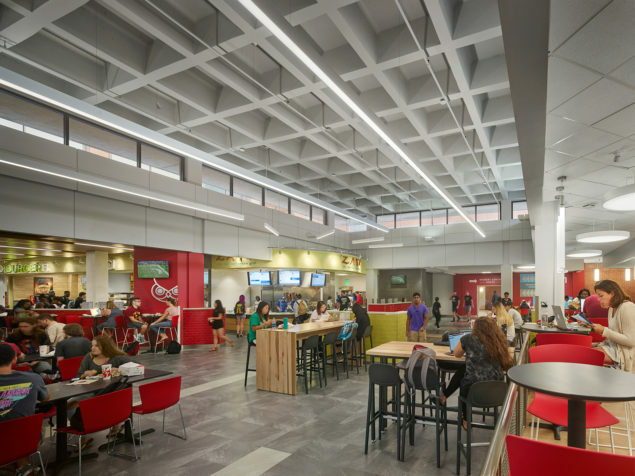 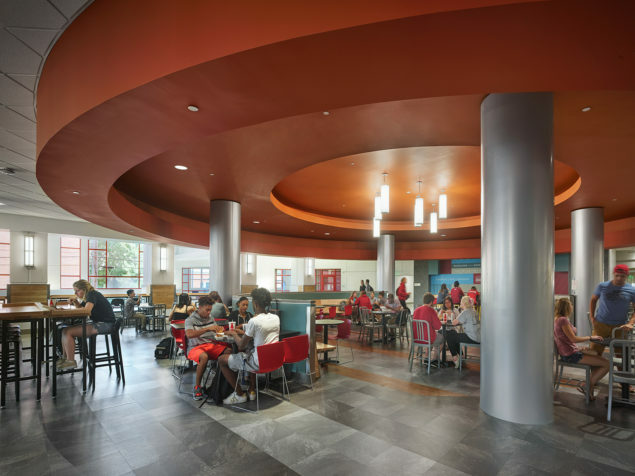 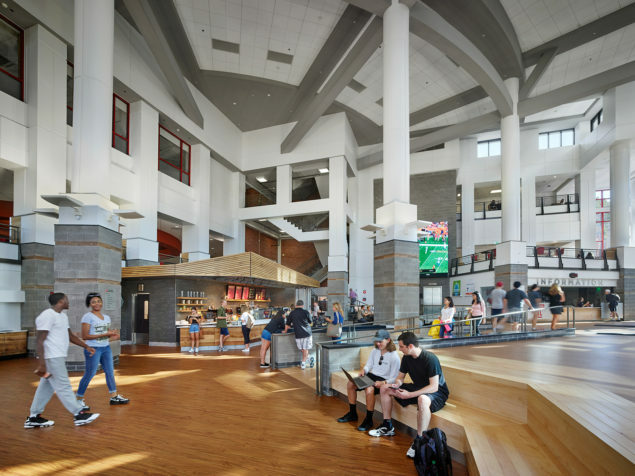 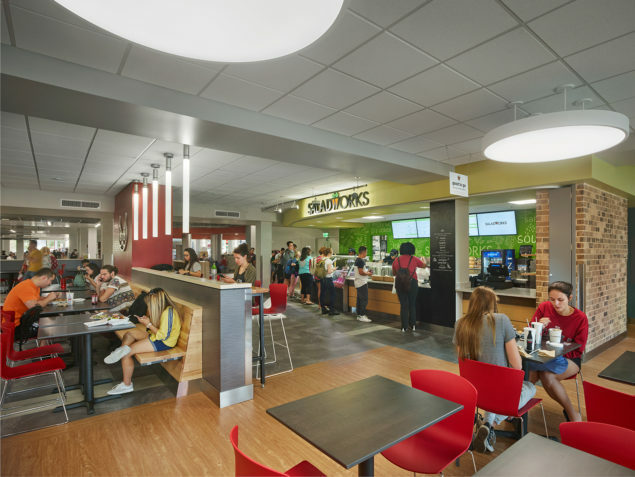 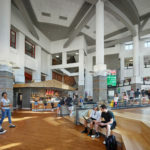 The expansive space and varied seating options, including an extended hours Starbucks, attract students to gather and remain in the space well beyond normal meal hours. 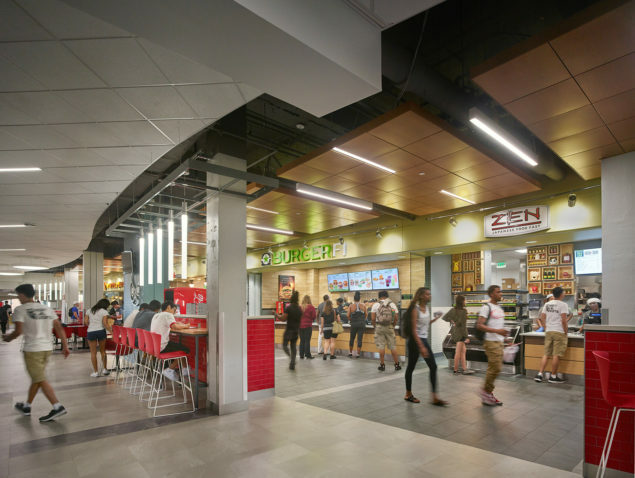 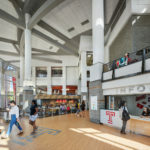 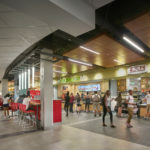 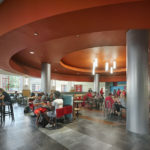 The existing atrium and food court were renovated over the summer, employing a strategy to maintain SAC programs and keep the facility accessible during construction, until completion before the start of the fall term.